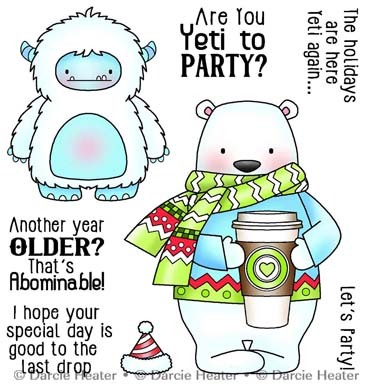 Yeti To Party by Darcie’s Heart & Home is a 4″ x 4″ clear photopolymer stamp set, which includes 8 stamps (5 sentiments + 3 images). This fun set is great for Christmas, but also other times of the year … when is a yeti not awesome? !